Marvin T. Frost Investigations, Inc. is a full-service, licensed, and insured private investigation firm, specializing in Worker’s Compensation, Criminal, Habeas, Civil Liability, Background, Asset, and Pre-Employment Checks and Witness Locates. We take pride in our work and will provide your company with the best results, in a timely manner. 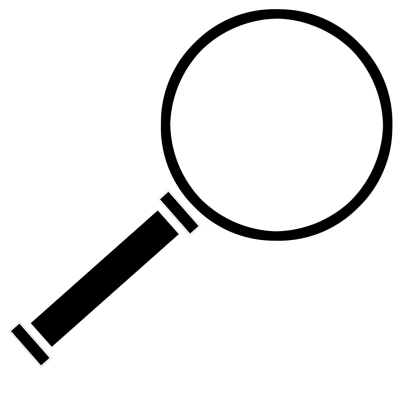 We address all aspects of an investigation in a discrete and professional manner. We strive to not unduly interfere with your client’s business operations. We regularly take handwritten statements, since it generally disarms the witness or subject, allowing them to speak more freely. We provide recorded statements upon request. Our investigations include a complete comprehensive report, with a typed version of the signed statement and witness profiles. It provides the adjuster and/or attorney with the necessary information for the proper adjudication of the matter. Our reports are processed by our own office staff and verified for accuracy. If case appropriate, we conduct a social media check in order to determine the current activity of the subject individual. We provide clients with regular updates of our investigation. We provide immediate turnaround on reports for urgent assignments. There is no extra charge for rush or after hours investigations. We can obtain information in any language, since we maintain a complete list of interpreters. Our clients include Fortune 100 Companies, law firms, major supermarket chains, major insurance companies, self-insured entities, State of California, and major municipalities. We have handled investigations in almost every type of industry imaginable. We are the preferred investigator for some of our clients. We conduct pre- employment checks for schools, businesses, corporations, and individuals hiring household staff. While our primarily focus is Southern California, we conducted investigations in almost every state in the country. We also conducted investigations in Canada, Mexico, Europe, Australia, and Africa. We have handled high-profile cases and celebrity cases. We are a family owned and operated California Corporation, started by renowned Private Investigator, Marvin T. Frost, in 1964. Marvin Frost worked as an investigator for the City of Los Angeles, Department of Workers Compensation, until he was convinced to come to work for a Los Angeles-based law firm connected to celebrated attorney Melvin Belli. He handled many of Attorney Belli’s complex and famous cases, resulting in travel throughout the State of California, United States and Mexico. During this time, he was also doing work on his own. Because he spent much of his time working, he often brought his family with him on many of the cases. When appropriate, he introduced those investigations to his children, providing a rare opportunity for his son, Gregory Frost, at an early age, to learn how to conduct investigations and how to approach people. Marvin Frost operated the company until his retirement, in 1996, when he turned over operations to Gregory Frost, President, who had been working for the company since High School. Ma © 2019 Marvin T. Frost Investigations, Inc.
Our mission is to provide our clients with the best possible investigations, in a timely manner, performed with the utmost accuracy, honesty, and professionalism.